All plants are growing and all sensors are on-line. 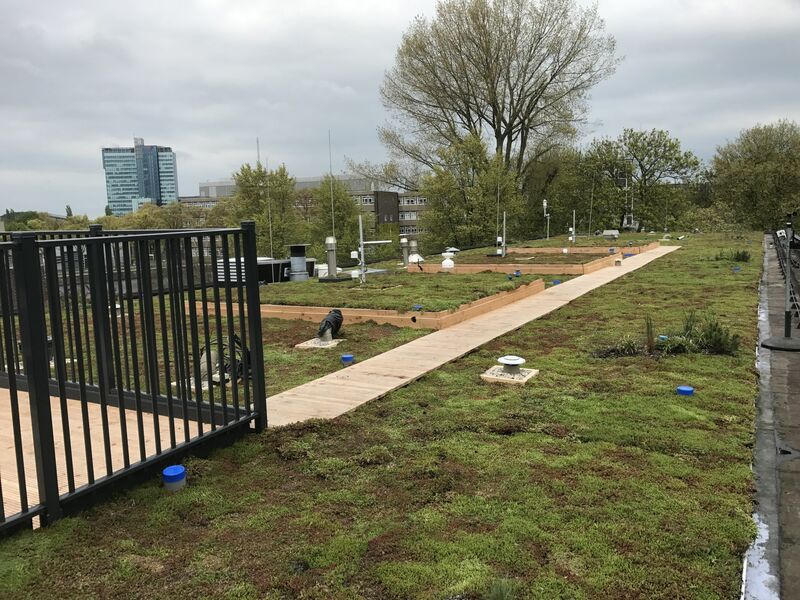 Project Smartroof 2.0 is ready to start the measurements during the growing season 2017. The wait is now for the mixed grasses-and-herbs-seeds (Cruydthoeck mixture D2) to start growing.